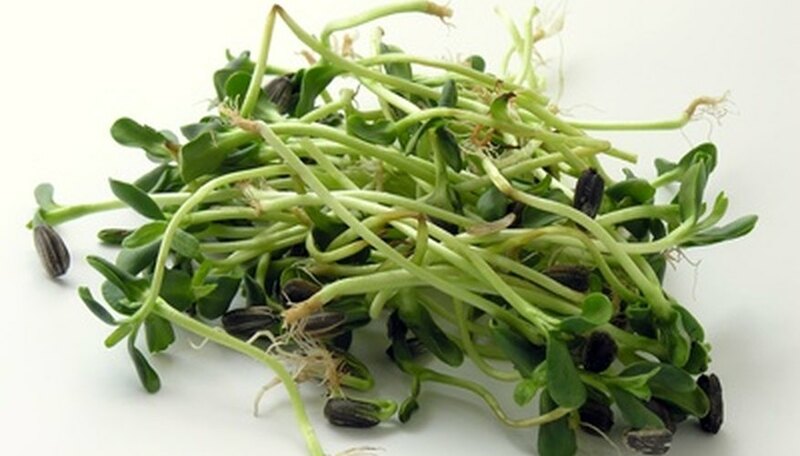 Sunflower seed sprouts are highly nutritious and contain Vitamin E, calcium, zinc, potassium, magnesium and amino acids. 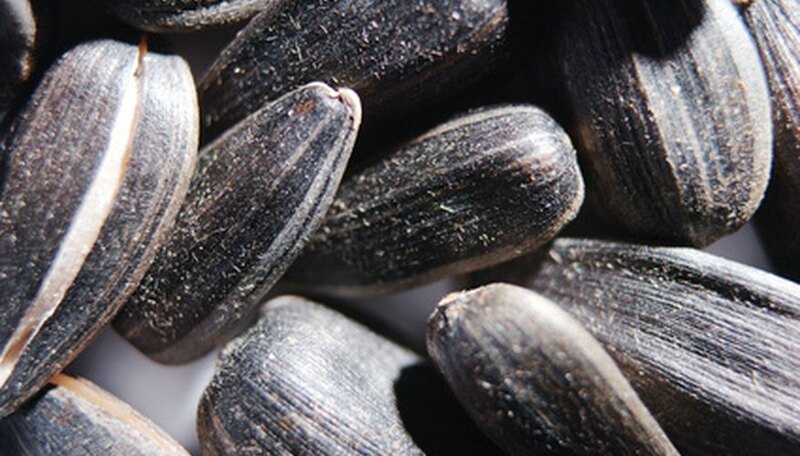 The thin shells of the black sunflower seeds are easier to remove than the hulls on larger gray sunflower seeds. The sprouting process increases the enzymes, minerals and nutrients in either seed by 300 percent to 1,200 percent, according to an article by Vegetarians in Paradise. 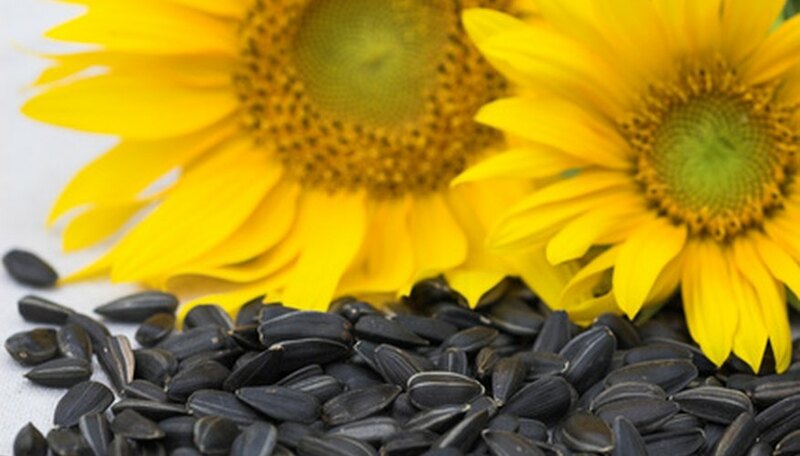 Black sunflower seeds are referred to as "black oil" because they produce 40 to 45 percent of their total weight in oil. Oil from black sunflower seeds has the highest amount of Vitamin E, while gray seeds, which are used for snack food, supply less than half as much oil and so not as much vitamin E, according to "Organic Gardening" magazine. Sunflower seed hulls are shed as the leaves begin to unfurl from the shell during the sprouting process. The thin hulls of the black sunflower seeds soak up water readily, are easy to remove during rinsing, and germinate quickly. Gray sunflower seed hulls are thicker and take a bit more force to open, therefore taking a little more time than the black-seeded types. Hulls are removed from the sprouts before eating. Hulls from either gray- or black-seeded types are edible, but they will alter the taste and texture of the recipe in which they are used, according to the Virginia Cooperative Extension. 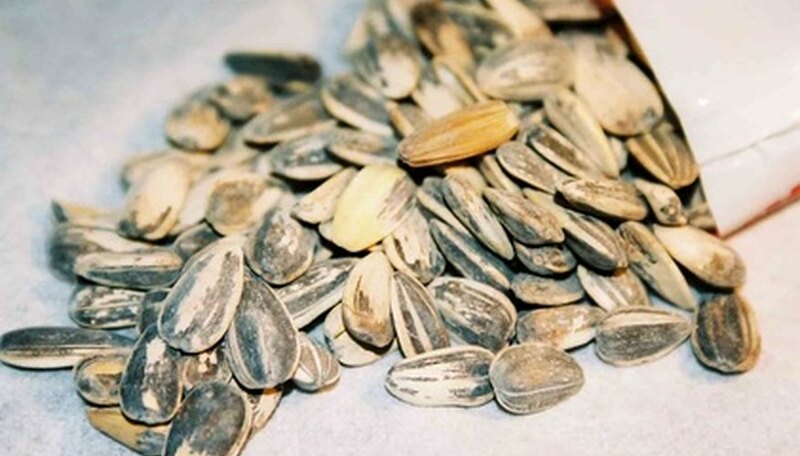 Gray-striped sunflower seeds comes from a variety known as Mammoth Russian. Their flowers are up to 16 inches across and they grow to 12 feet tall with high yields of seeds for sprouting. 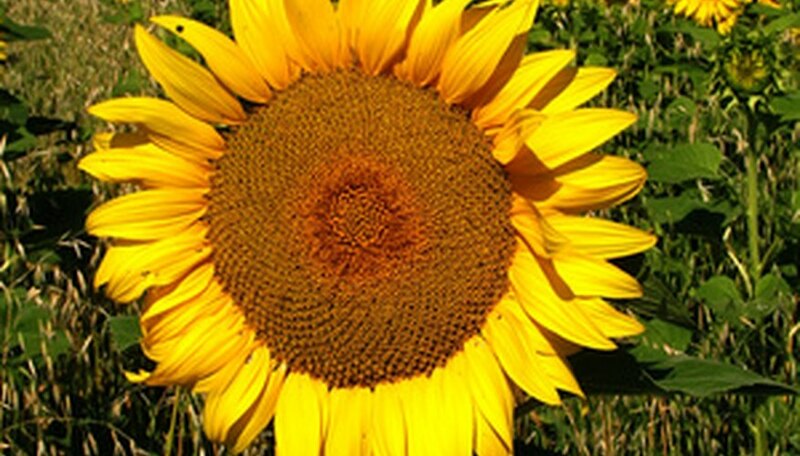 The black-seeded sunflower variety known as Dove Hybrid comes from a plant that grows to 5 feet tall, with seed heads to 12 inches in diameter. Either of these varieties can be grown in the home garden and seeds can be harvested for sprouting. Due to their tougher seed hull, gray-striped sunflower seeds are easier to grow when sprouted in a jar then planted when root tip emerges from the seed. Plant them in a shallow pan of soil or worm castings. They are clipped for greens when two leaves have grown. Black sunflower seeds can be grown in this manner or can be sprouted in a jar placed in a dark area for four days and rinsed every 12 hours. The hulls will fall off in the rinse water. vegparadise.com: Vegetarians in Paradise: Sunflowers Transcend Seedy Existence, no author given. Virginia Cooperative Extension: Sprouting Seeds For Food, Diane Relf. Happyjuicer.com: Sunflower Seeds, no author given. Thomas Jefferson Agricultural Institute: A Native Oilseed with Growing Markets, author not given.